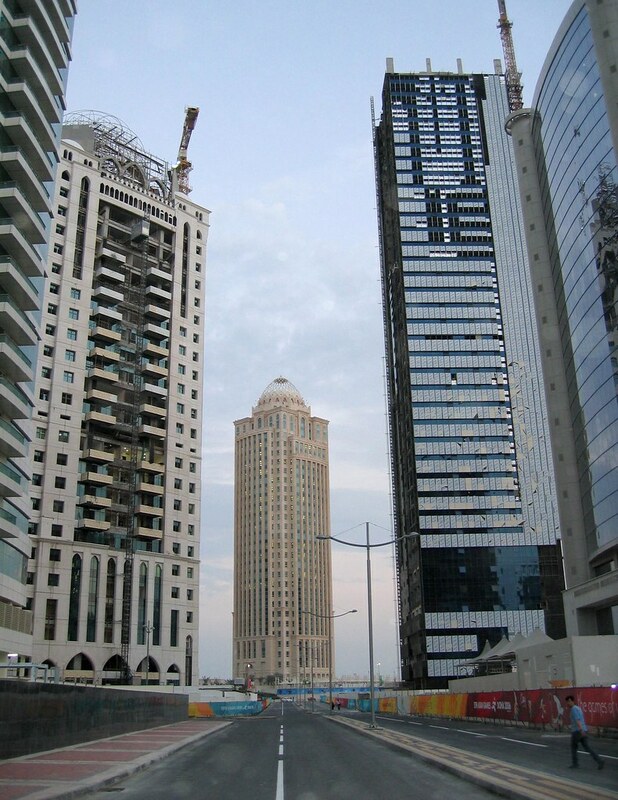 Contractor: Qatar Building Engineering Co.
Last edited by Massilia; September 7th, 2006 at 08:43 PM. they are the ones on the left. heyy those are not the towers!! the towers are not even under construction as i see in the place where it is supposed to be !! I think for some reason, their signs and billboards are located far from the actual tower. And also check out the Al Maha Sofitel Hotel underconstruction thread here. They do look the same. Ohhh.. but the render is set up far from the construction site.. I thought those werent gona be built soon..
Guys, I was in Doha yesterday and I passed by yesterday in that area and they are almost done with these towers. They are putting the "domes" on top. But, work is sloooooooow. And another one! (tower on the left). By the way this road must be kind of new! 10x for the pics Bert! But... The road really needs some cleaning! It should be shiny clean by now after yesterday's rain! it should you know !!!! Last edited by Qatar Son 333; December 2nd, 2006 at 08:36 PM. I love that street. Imagine driving through there at night, between all of the lit skyscrapers! It's going to be great.